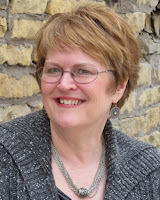 Kathy Ide is well-versed in a variety of skills within the Christian publishing industry…a full-time freelance editor and writing mentor/career coach; a published author and ghostwriter/collaborator; a speaker/teacher at writers’ conferences; an Editor Services Coordinator, matching authors, publishers, and agents with professional freelance editors/proofreaders through the Christian Editor Connection; the founder and director of The Christian PEN: Proofreaders and Editors Network, a professional support organization for aspiring and established editorial freelancers; founder and director of the SoCal Christian Writers’ Conference; represented by a fabulous literary agent: Diana Flegal with Hartline Literary Agency; and the abundantly blessed wife of a fabulous man and mother of two terrific sons. For more information about Kathy, go here. Twila Belk’s expertise spans many aspects of quality communication such as authoring two books; co-authoring four books with Cecil Murphey; writing a variety of devotions, newsletters, articles, and promotional materials; hosting the CEC AND ME online radio show; speaker at hundreds of events as the “Gotta Tell Somebody Gal” in retreats, banquets, outreach events, church services, women’s conferences, Christian Women’s Clubs, MOPS, Women’s Aglow, schools, and more; directed the Quad-Cities Christian Writers’ Conference, as well as the Presbyterian Writer’s Conference; owned a Christian bookstore; worked with three radio stations by planning events and creating radio spots, ads, and jingles; and is involved in various ministries with her church. Find out more about Twila here. Learn more about the conference and how to register HERE.